Aurelian Temişan and Ilinca Avram have been named by TVR as the hosts of Selectia Nationala 2019. 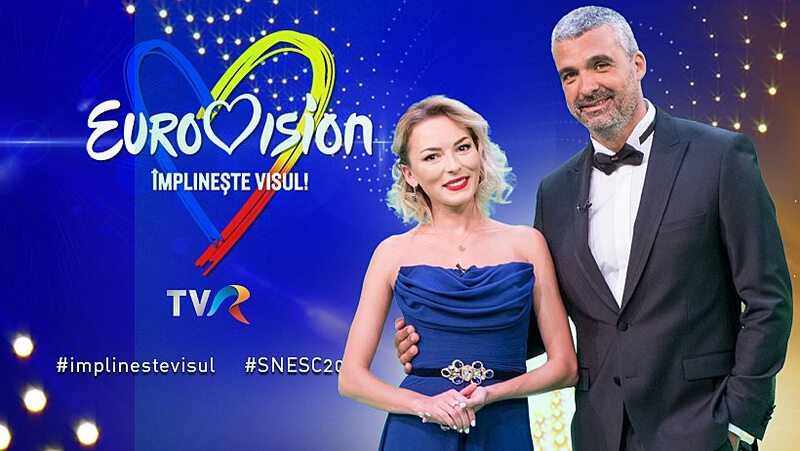 TVR has today revealed the hosts of the Romanian selection process for the Eurovision Song Contest 2019. Aurelian Temişan and Ilinca Avram will be taking to the stage as the hosts of this years competition. The duo previously worked together as hosts at Cerbul de Aur in the summer of 2018. After a few entries in the National Selection, here I am again in the middle of the Eurovision Song Contest, this time as a presenter. I missed this quality and I want to see how artists feel, not being involved in the competition. They are holding everyone’s fists, be it the best to represent us and why not to bring us the Eurovision trophy. I am happy and honored to have received this proposal. Eurovision is one of the most popular contests in the world and it is a great challenge to be part of this exceptional event. I am glad to come back to the Romanian audience with Aurelian Temisan, after having made a good team on the Cerbul de Aur in Brasov. Six acts will qualify for the Grand Final from each of the two-semi finals. The semi-finals of Selecția Națională will take place in Arad and Iași on January 27 and February 10 respectively. In each of the two semi-finals, a national jury will select up to five songs to qualify for the final and public voting will pick one more. TVR also reserves the right to select one wildcard act. This means that no more than 13 entries will compete in the final. The final will be held on February 17 in Bucharest. For the first time in Selecția Națională history, an international jury will help select the Romanian Eurovision representative. They make up 50% of the vote. The other 50% will come from public voting. In case of a tie, the international jury will decide who will represent Romania in Tel Aviv. Czech Republic, Denmark, Eurovision 2019, National SelectionCzech Republic: Rasmussen Awards 12 Points to "True Colors"